"I am committed to achieving the best outcomes possible. Only by listening to you, tailoring personal treatment and acting as your advocate will excellence in surgical treatment translate into clinical success. I hope the information in this site is useful, but remember, it is no substitute for personalised neurosurgical assessment and advice. " Focusing exclusively on spinal surgery, Dr Jonathon Ball is Head of the Department of Neurosurgery at Sydney’s Royal North Shore Hospital. Many spinal injuries and conditions that impact on a patient’s quality of life can be successfully treated using the latest medical technology. An experienced neurosurgeon with a personalised approach. Welcome to Sydney Neurospine. 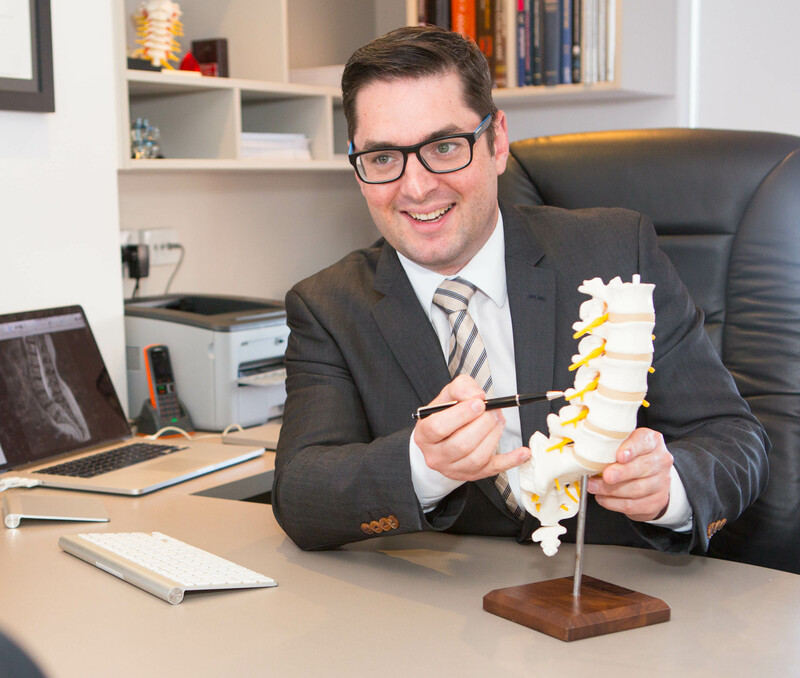 Our clinic is led by expert spine surgeon Dr Jonathon Ball. Our patients experience the benefits of one-on-one care with an expert who is exclusively focused on the treatment of spinal disease. Sydney Neurospine offers complex spinal surgery services and specialised care for all spinal conditions including disc bulges, spinal stenosis, instability and scoliosis. Dr Ball has expertise in the care of spinal cord injury patients. Rest assured that you will be listened to and consulted with throughout your time at Sydney Neurospine. Your spinal treatment, recovery and after-care will be tailored for your specific condition. Dr Jonathon Ball is an established expert in the field of spinal care. Join hundreds of patients who have received successful treatment for complicated spinal conditions, including degenerative disease, spinal deformity, traumatic injuries and spinal tumours. As a patient, you will be supported throughout the diagnosis, surgery and recovery stages of your spinal condition. 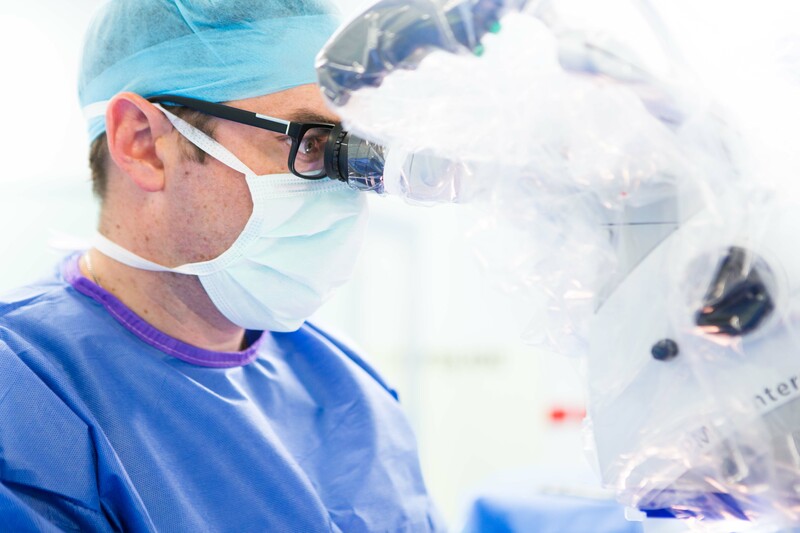 As the previous Head of the Department of Neurosurgery at Sydney’s Royal North Shore Hospital, Dr Ball is a leading Sydney Spine Surgeon, at the forefront of spinal surgery technology. Using pioneering spinal navigation technology, Dr Ball has performed complex spinal surgery on people of all ages throughout New South Wales. Surgery is performed to the highest standards, increasing the likelihood of having pain eased and mobility restored. All patients deserve the very best in care, especially when they are dealing with debilitating spinal conditions. At Sydney Neurospine, you are given more than the latest options in spinal diagnosis and treatment. We take pride in delivering a personal approach to your spinal concerns and being right there with you from start to finish. Experience professional, precision surgery with a treatment program that is individually tailored for your needs with Sydney Spine Surgeon, Dr Jonathon Ball at Sydney Neurospine. Experience professional, precision surgery with a treatment program that is individually tailored for your needs at Sydney Neurospine.